This painting is by Emmanuel Leutze. 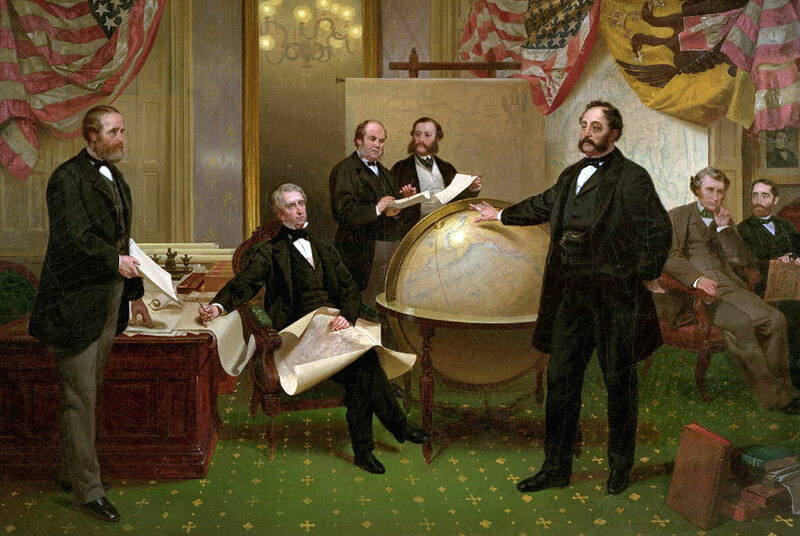 It shows Russian minister Eduard Stoeckl standing beside the globe and pointing to 'Russian America', while the seated US secretary of state, William Seward, prepares to sign the treaty which will confirm the USA's purchase of Alaska, taking it out of Russian hands and ensuring also that it cannot be added to British-controlled Canada. Text copyright © P L Kessler and the History Files. Image is free from copyright. Go back or return home.